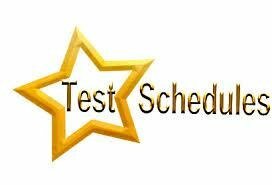 6th-8th grade students at HMS will participate in Alabama state testing beginning on Monday, April 8th. 6th-8th grade students will be required to take the reading and math tests and 7th grade students will also have to take the science test. Students need to be present and on time if at all possible on their scheduled testing days. Please make sure all students have had a good breakfast and plenty of sleep to ensure they have a successful testing experience. If you know your student will be absent on their assigned testing day, please contact their teacher or the school counselor so that we can make other arrangements to get them tested. We know our students are prepared to rock these tests! Good Luck and happy testing!